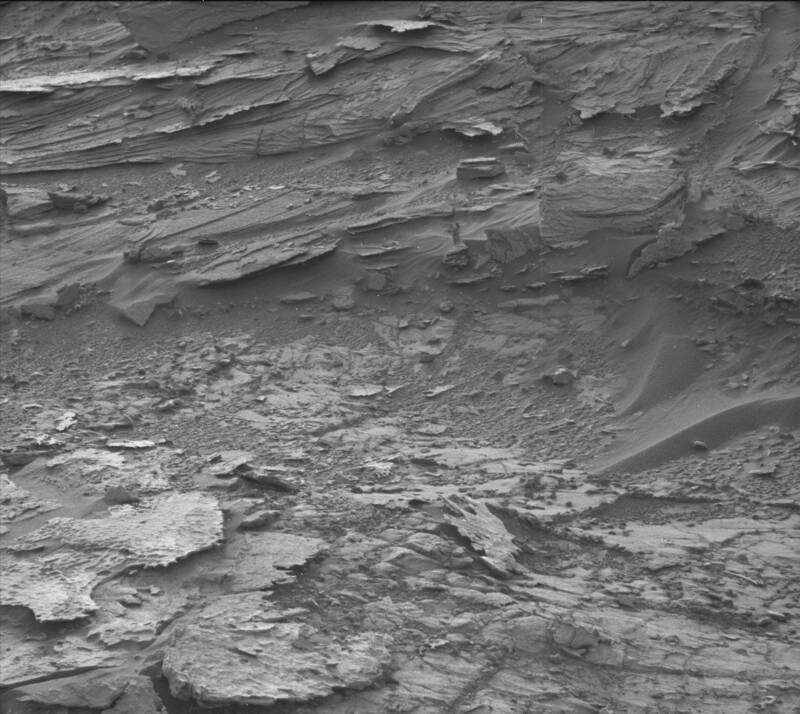 NASA pictures from Mars are a great treat for UFO fans. 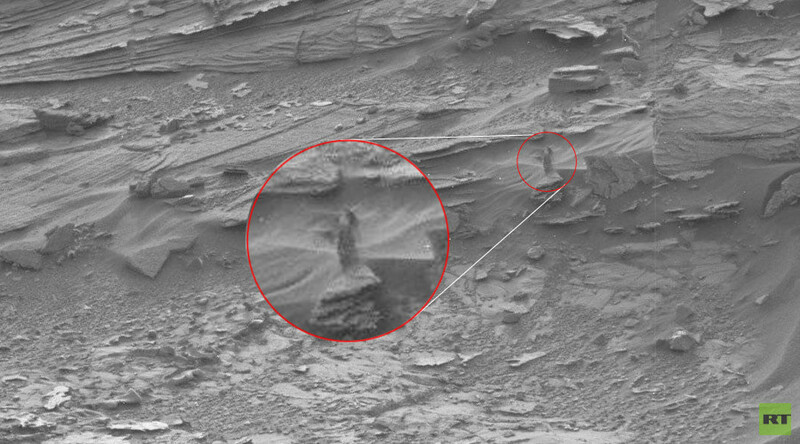 This time they spotted an alien “woman with breasts and long hair,” who is “attentively watching” the Mars Curiosity rover from a distance. The raw image recently taken by Curiosity has caught the attention of a number of UFO lovers’ websites, including areazone51ufos.blogspot.be and the UFO Sightings Daily, a website devoted to possible UFO detections. “…it looks like a woman partly cloaked. The woman seems to have breasts...indicated by the shadow on its chest. We also see two arms that are lighter in color and what looks like a head with long hair,” the latter site writes. The article’s author still doubts if this is a statue “from long ago” or a real breathing woman. Mars seems to be quite an inhabited planted, according to ufologists and alien-lovers. A few days ago social media users noticed a strange creature on the surface of the Red Planet. The UFO-lovers dubbed it "Spider”, “Alien”, “John Carter” and even “awesome Martian space crab”. Posted by Journey to the Surface of the MARS on 1 августа 2015 г. Conspiracy theories also appeared around a “levitating alien sphere” on Mars, which was recorded by the rover's Mast Camera on April 10, 2015. “This is ancient technology, and it’s still floating above the surface today. No one knows how old it is, but we do know that it came from a very technologically-advanced species. It has the ultimate battery,” UFO Sightings Daily said. These ‘artefacts’, however, are most probably a vision phenomenon called pareidolia, when a person notices a significant pattern in unexpected places. The ‘man in the moon’ or ‘moon rabbit’ are common examples of such an illusion.